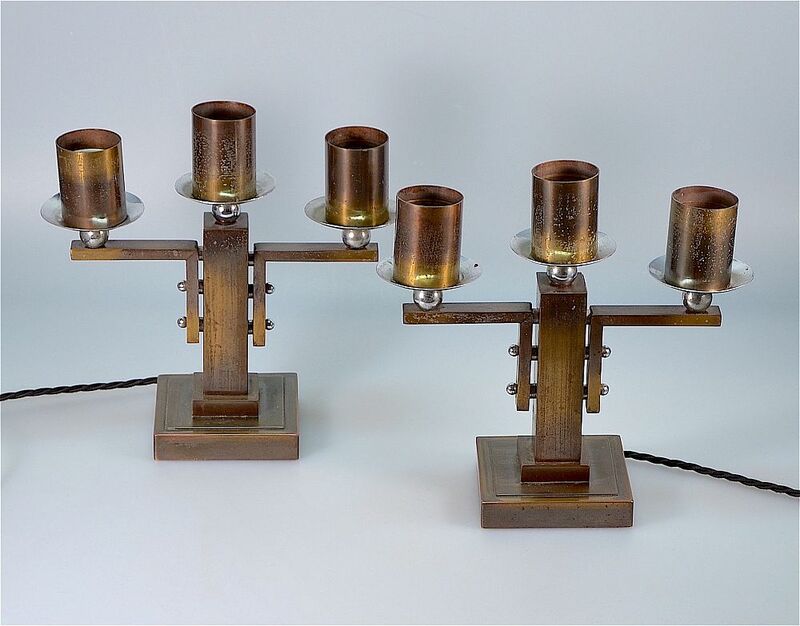 These modernist table lamps were made during the Art Deco period and are probably French. Each lamp is in bronze tone metal and has a square tiered base leading to a square stem with an upside down right-angled branch arm secured to two sides with chrome domes. At the top of the central stem and each branch arm is a round chrome sphere supporting a chrome sconce and removable cylindrical bulb holder covers.